When William Jefferson was convicted on public corruption charges in 2009, he got hit with a 13-year sentence–the highest prison term a Congressman has ever received. Bernie Madoff, the financial scammer who pleaded guilty in New York in 2009 to running a massive Ponzi scheme, was handed a whopping 150-year sentence. 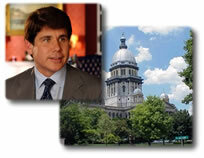 And just recently, the ever-chatty former Illinois governor Rod Blagojevich, convicted of public corruption charges, was given 14 years–the harshest sentence an Illinois governor has ever received in a state known for its history of public corruption. In federal courts across the United States, criminal sentences collectively have risen steadily in recent years, all while actual crime levels are falling. “The national data is crystal clear on this,” Harvard Law Professor Ron Sullivan said in a phone interview with ticklethewire.com. “Sentences are getting increasingly harsher even though the crime rate is lower.” Sullivan teaches courses in criminal law and criminal procedure at Harvard Law. Sullivan attributes the change in the last couple decades to a shift from discretionary sentencing to sentences often determined by federal sentencing guidelines — even after the guidelines went from mandatory to discretionary. The Sentencing Reform Act of 1984 sought to bring more consistency to federal sentencing, with mandatory sentences for certain convictions and for determinate sentencing–a firm and automatic sentence for different crimes and actions. The act created the United States Sentencing Commission (USSC) and the federal sentencing guidelines used in federal cases today. It also put some judges in a regrettable position when they felt the guidelines were excessive, but could do little about it. But in 2005, the Supreme Court ruled that the mandatory guidelines were in violation of the Sixth Amendment right to a trial by jury, in the case United States v. Booker. The guidelines then became legally regarded as suggestions, not requirements. Still, judges almost always at least start with the guidelines, and a federal case law requires a judge to write their reasoning for departing from the guidelines if sentences exceed them by a certain percentage. Studies clearly point to the hike. In November of 2004, the USSC published a report called “Fifteen Years of Guidelines Sentencing,” a look at the impact of the changes since sentencing reform was initiated. “The data clearly demonstrate that, on average, federal offenders receive substantially more severe sentences under the guidelines than they did in the pre-guidelines era,” the report states. The first year in which a majority of federal offenders were sentenced under the guidelines–a period between 1987 and 1989–the average prison sentence nearly doubled; by 1992 it had more than doubled, from 26 months in 1986 to 59 months in ’92. A 2006 report from the U.S. Sentencing Commission evaluating the impact of the Supreme Court’s Booker decision found that “the majority of federal cases continue to be sentences in conformance with the sentencing guidelines.” The report placed the rate at which federal judges conformed to sentencing guidelines at 85.9 percent, and found that the average sentence length had actually increased after Booker. Above-guideline sentences doubled after Booker, according to the report. 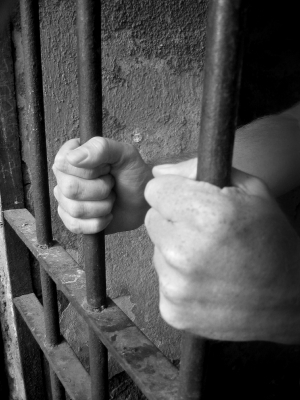 The decade between 1997 and 2007 saw about a ten percent rise in the rate of prison sentences for federal offenders, according to a January 2009 report by the United States Sentencing Commission entitled “Alternative Sentencing in the Federal Criminal Justice System.” That corresponded with a decrease in alternative sentencing like probation, or combinations of lower prison terms with probation and other alternatives. Legal experts suggest the shift to tougher sentences is also, at least in part, due to changing attitudes about incarceration. They say the popularity of the rehabilitative component of incarceration declined in the 1970s, which precipitated the reform of the 80s. Incarceration became more about taking the criminal element out of society. The crew of crooked Illinois governors provides a little snapshot of the upward climb in sentences. In 1973, Ex-Gov. Otto Kern Jr. was convicted on 17 counts including bribery, conspiracy and perjury, and was sentenced to three years in prison. He was released early after he was diagnosed with terminal cancer. Ex-Gov. George Ryan was convicted on public corruption charges in 2006 and got 6 1/2 years in prison. As an aside, Ex-Gov. Daniel Walker, who had already left office, was convicted in 1987 on charges related to the First American Savings & Loan Association in Illinois and got seven years. 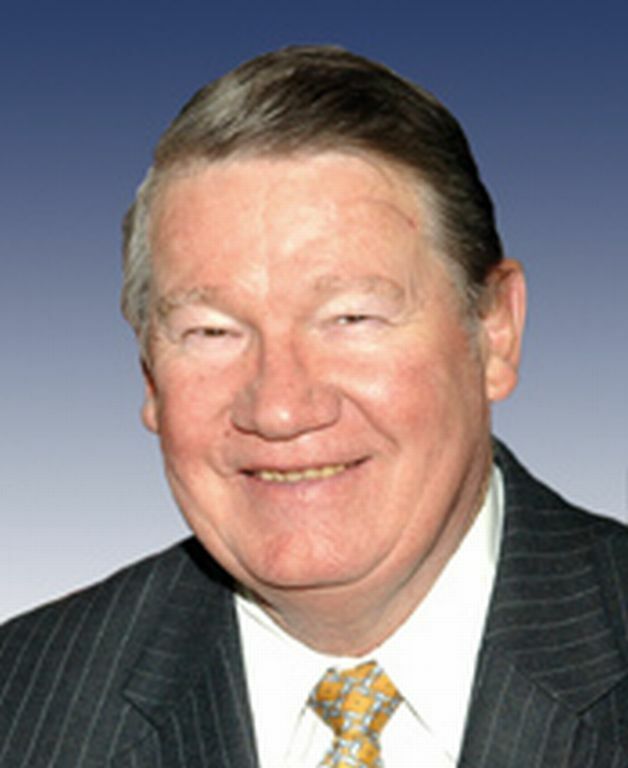 Before Congressman Jefferson’s history-making 13-year sentence, former Rep. Randy “Duke” Cunningham (R-Calif) set the record in 2006 when he got eight years for bribery involving the defense industry. Rep. Dan Rostenkowski, the legendary Illinois Democrat, got 17 months after pleading guilty in 1996 for mail fraud. (Jefferson is free pending his appeal). The tougher sentences involving public officials may also be a sign that the public and judiciary are becoming increasingly agitated about crooked politicians, and politicians in general. Real Clear Politics reports the average job approval rating for Congress at 12 percent, though some polls report as low as eight. “Federal judges have been increasingly tough on most, if not all, defendants who have breached the public trust by seeking to profit through the illegal acceptance of funds,” said Saltzburg. Legislators see higher sentence recommendations as a low-cost means to look tough, even though they know judges will most often hand down sentences well below the highest recommendations, Harvard Prof. Sullivan says. “They know that most people probably are not going to get the top level sentences, but will get some sentences somewhere lower on the range,” which are still tough and pushes sentences up overall, he said. Posted: 1/3/12 at 2:39 AM under News Story.